Update: Just like all the Fallout 4 news, Bethesda has confirmed that there is no Skyrim coming for next-gen consoles and the listing on Bethesda’s website was just a server error. Pete Hines, the PR and marketing vice president at Bethesda confirmed that the company is not working on anything relating to Skyrim to PlayStation 4 and Xbox One at the moment. Talking about the reported emails that were sent to Bethesda community members, Hines said that the company has nothing to do with it, the emails were just a “fan hoax” by someone who tried to toy with the emotions of Bathesda’s fans. There would be no announcement on January 12th. Original Story: Lately, there have been a lot of rumors circulating around Bathesda about the announcement of Fallout 4 but none of them have been officially confirmed yet. It looks like Bathesda was busy working on something else, and now it has decided to make a public announcement about it. According to the platform listing for Skyrim on Bathesda’s website, the game is coming to PlayStation 4 and Xbox One. The Elder Scrolls V: Skyrim is an action role-play game developed by Bathesda and released for PlayStation 3, Xbox 360 and PC. Skyrim was one of the biggest games of 2011 and it looks like the developer is bringing this game to the latest console. 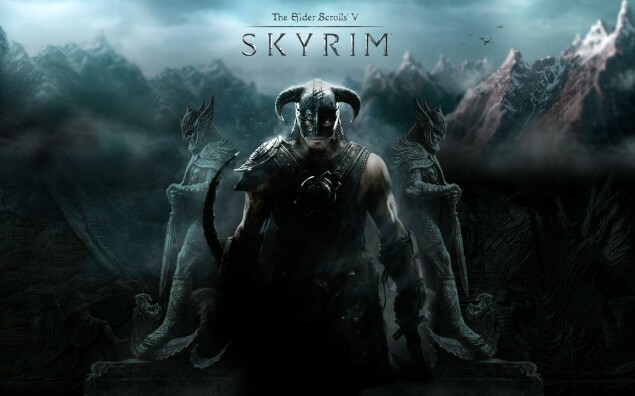 The possibility comes from Bathesda’s own website, which shows Skyrim listed for PlayStation 4 and Xbox One. 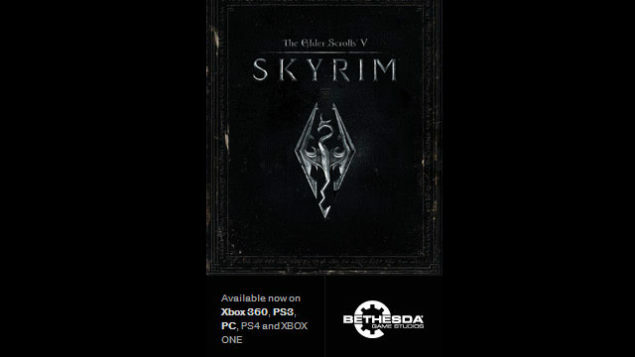 Other than this listing, Bathesda has confirmed nothing about the matter, so this could only turn out to be a website glitch or error keeping in view that the platform listing for Skyrim on Bathesda’s website has been again changed to PlayStation 3, Xbox 360 and PC. But what could not be ignored are the emails that have reportedly been sent by Bethesda to various people, including some redditors. 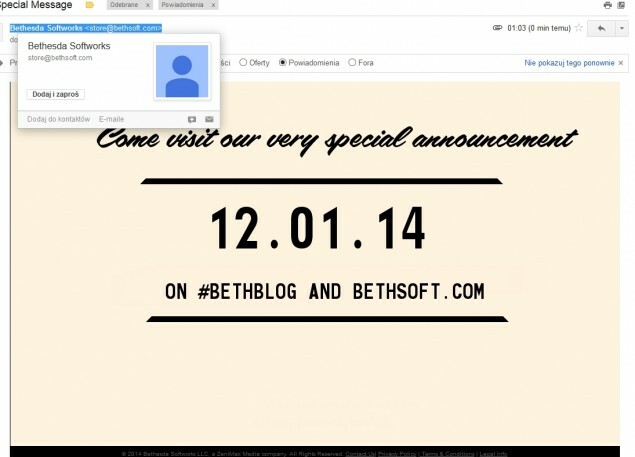 The emails sent out by Bethesda Softworks contain an invitation to a very special announcement that would take place on January 12th, it contains no details or information about the announcement, just that users should stick to Bethsoft.com or #BETHBLOG for the announcement. Below is the screenshot of the email sent to a redditor. There is no proof that the email addresses the announcement of next-gen Skyrim for PlayStation 4 or Xbox One, it is just an assumption because the email came right after the listing on Bethesda’s website. 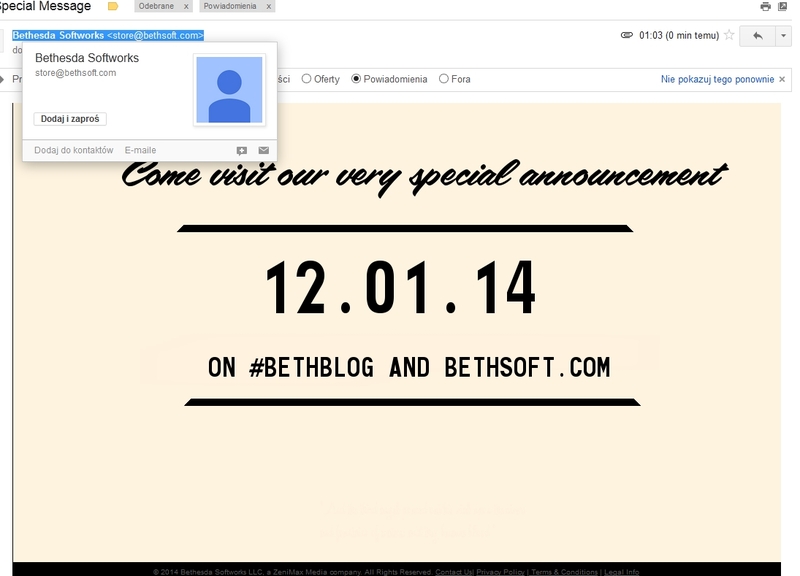 If the emails are legit, then sure there is an announcement coming but we don’t know what it is about.